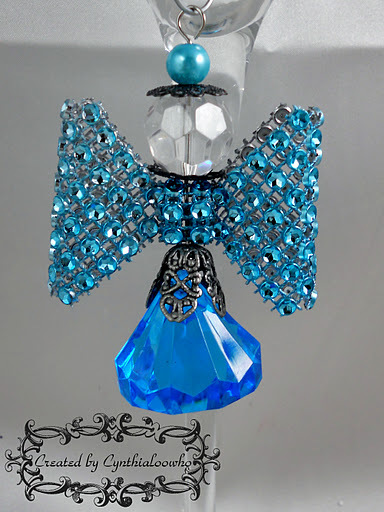 For day 6 we have a beautiful blue Christmas Angel! To see a video tutorial on this ornament click HERE! Previous Make your own Shabby Neck Roll! The angel is so sweet. I love your videos. I think of all the colors the angels could be. I think this one just may be my favorite! Can't wait to get some blingy mesh to try it! I love how your videos show just how easy it is to make beautiful ornaments at home! I agree that you could fill your tree with these lil darlings!